Today, I have what I call a ‘client quiet day’. I have a little client work, but not enough to fill a working day. Is that worrying? Am I distraught? No and no. I’ll tell you why. 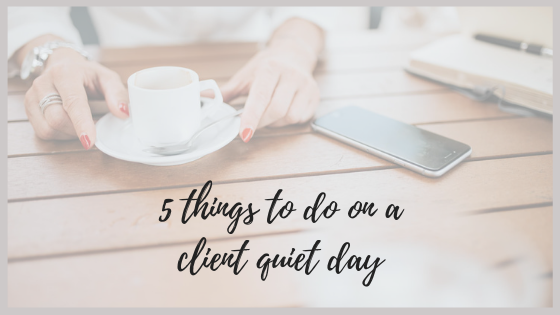 For me, a client quiet day is a rare opportunity to step back and take stock. Yes, I’ll still keep an eye on my emails and an ear out for my phone (just in case some new client work comes in) but I can set my own deadlines and plans for the day. Here’s what I do on a client quiet day. So I’ve told you that today is a client quiet day and that for me, that means a little client work. For other people, a client quiet day might mean no client work at all, or it might be a client quiet week or longer. When I have a client quiet day, the first thing I do is ask myself why I’m having a client quiet day. Has all my work dried up, with nothing on the horizon? If so, then I need to find more work. How am I going to do that? If one project or job has come to an end but there’s another one about to start, how can I make sure that everything is wrapped up for the finished project in readiness to begin the new project? Am I mid project but waiting for information or a decision from a client? If I’m having a client enforced quiet day, then is there anything I can do on that project in readiness for when I hear back from my client? Can I speed up the client’s decision in any way? Do they have all the information they need to make that decision? Knowing why I’m having a client quiet day means I know exactly what I have to do next. Having the time to remove myself from my client workload allows me to step back and re-assess my business. Do I need to find more work and possibly new clients? How am I going to do that? Am I happy with how my current client work is going, including all the processes involved in that work? Is my client happy with the work I’ve done for them and our working relationship? How is my work-life balance? Is my pricing structure up to date? Am I underestimating the scope of the jobs I take on (all those extra hours spent on emails to and from my clients, for instance) or do my working practices need to be slim-lined? A client quiet day allows me to take a step back from my business and see exactly what is, and isn’t, working. Not having client work to do means that I can work ‘on’ my business, rather than in it. 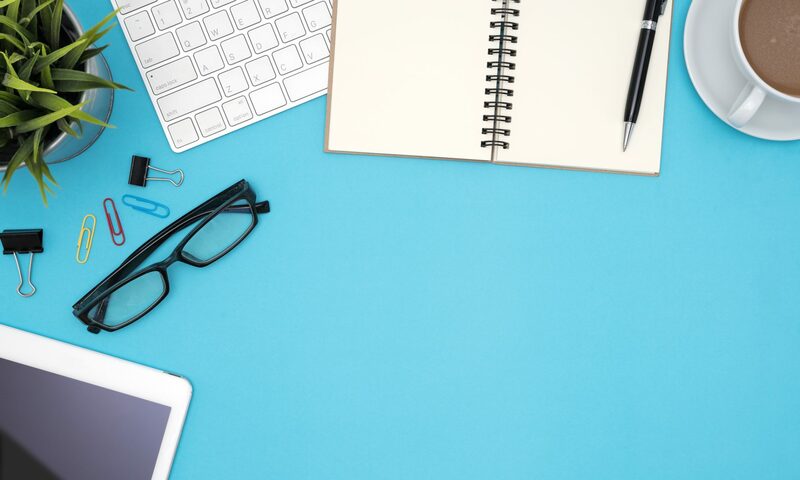 So today’s admin blitzing includes tearing through my email inbox (delete, save or action), updating my financial spreadsheet with income and outgoings, checking that my online presence is consistent and up-to-date, writing this blog post and backing up my computer. It doesn’t make my heart skip a joyful beat, but blitzing the admin does carry a level of satisfaction. Spit spot. Now, yes, I know, we should be networking all the time like the social business butterflies we are but personally, I find that real life (especially the real life that pays the mortgage) can often get in the way. However, on a client quiet day, I don’t have an excuse. I use the time to catch up with online contacts, offline contacts and generally find out what everyone is up to. LinkedIn is a great place to start but sending out emails and actually talking to people (albeit on the phone) does the job too. One of the benefits of working for myself is that I can choose when to work. If I want to start earlier one day, then it’s ok to finish mid afternoon. If a doctor’s appointment breaks up my morning, I can move those hours to the early evening instead. When I have a client quiet day, I try to do at least one thing just for me. Not for my business, not for my family, or anyone else. It might be meeting a friend for coffee, or watching a film on TV, or getting my hair cut. It could be something as simple as reading a couple of chapters with a cup of tea. When you work for yourself, especially when it’s just you as a freelancer/sole trader, you work hard, donning all the business hats and taking the complete load on your shoulders. We all deserve a treat now and then. So that’s my client quiet day. What does yours look like?